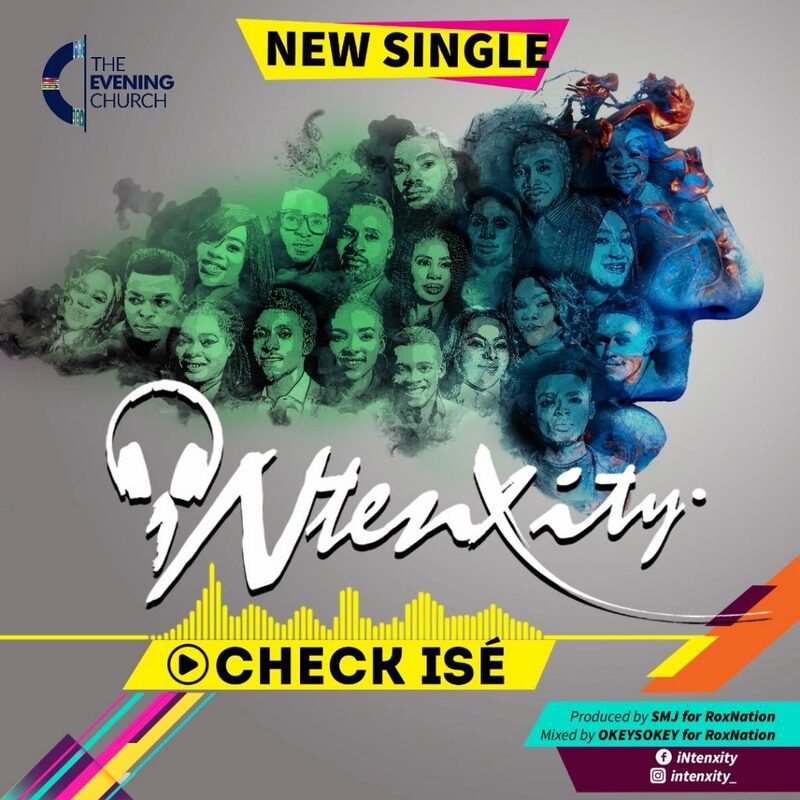 The Evening Church, is thrilled to announce the release of a first single from her newly unveiled gospel music sensation #iNtenxity titled CHECK ISE’ #CheckIt on Monday 13th august 2018. A statement released by the Lead Pastor of The Evening Church, Pastor Runcie Mike; said that the single ‘Check Ise’ is an infusion and blend of urban contemporary, rap, trap and soul music with the beautiful ibibio language of Akwa Ibom State, from which clearly defines God’s unlimited love to mankind which cannot be found anywhere else but in Christ. It further said that the group was formed after some intense auditions, rigorous selection processes and training sessions conducted at The Evening Church to promote a culture of excellent music among Christian believers thereby bringing men into reconciliation and fellowship with God in worship through by Spirit. It would be recalled that the group at their unveiling concert on the 25th of July 2018 performed alongside International Music Act Travis Greene and as well Tim Godfrey & The Xtreme Crew of Rox Nation. The release encourages every lover of music to download the song which shall be made available online free of charge and to constantly spread the message of God’s unsearchable and relentless love towards humanity and mankind. The vision was borne out of the desire to situate our energies within pragmatic effort to evolve an uncommon Christian music vanguard that will redefine gospel music and champion the crusade of the kingdom reconciliation through a culture of excellent music. iNtenxity therefore, is a world class music group that is committed to qualify creative singing; fusing contemporary music and gospel outreach in an unusual presentation designated to promote our course and export good music from Akwa Ibom State. In iNtenxity, our course is the unrelenting commitment to the ministry of reconciling the world back to God. iNtexity shall exist as a specialised music group designated to reach out to the global space with its musical productions and performances.